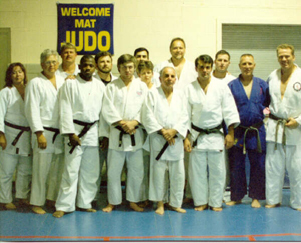 Steve Scott started the Welcome Mat Judo and Jujitsu Club on Sept. 3, 1969 in Kansas City Misouri. 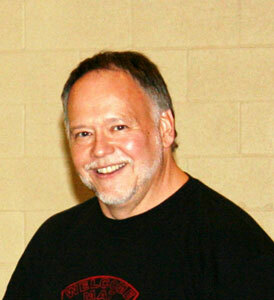 Steve is a Shichidan (7th Grade Black Belt) in Shingitai Jujitsu and Kodokan Judo. He has personally coached 3 World Sambo Champions, several pan American Games Champions and is a member of the U.S. Olympic Team. 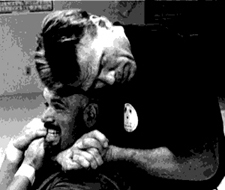 He served as the national team coach and director of development for the under-21 national judo team and coached U.S. teams at several World Championships in both judo and sambo. He was the U.S. women’s team head coach for the 1983 Pan American Games in Caracas, Venezuela where his team won 4 golds and 6 silvers and the team championship. but excellence is, and if you want to achieve excellence, please join us at Welcome Mat." 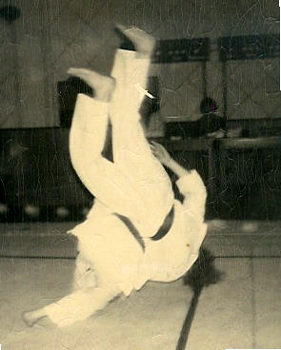 Steve throwing opponent in 1974 or 1975.